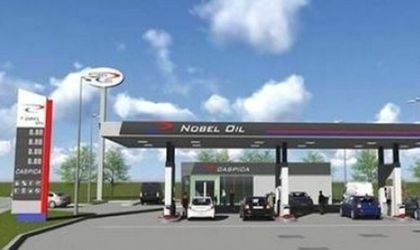 Nobel Oil Downstream Romania announced the opening of its first filling station in the country. Situated on the busiest transport artery of Iasi (Bd. Nicolae Iorga 6M), the new petrol station comprises three dispensing units capable of servicing six vehicles at a time and is expected to serve 1,200 vehicles per day. “This will be my fourth (fifth worldwide) new Romanian market entry and the first with a completely new brand. That is why it is the most interesting and a pleasure to introduce Nobel Oil in Romania,” John Long, managing director of Nobel Oil Downstream Romania said. The service station’s rooftop is composed of photovoltaic panels, thus covering energy needs of the station itself and operating independently from local power distribution networks, as per Nobel Oil Downstream’s corporate social responsibility principles. Among unique features the unit boasts is the Outside Payment Terminals (OPTs) allowing customers to use both payment cards and cash and courier services through a partnership with DHL. Customers will also be able to purchase groceries and essential commodities at the Nobel Shop. “This project in the downstream segment in Romania is the first of its kind for us and reflects the company’s desire to diversify and seek for new markets and opportunities. We believe in the success of this venture, which will enhance Nobel Oil’s position as a dynamic and growing group of energy related businesses,” Michael Wring, chief executive of Nobel Oil Services said. Nobel Oil Downstream Romania, a subsidiary of Nobel Oil Services UK Ltd, plans to have a nationwide presence by 2018.